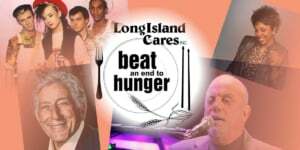 Using Music to Raise Awareness of Hunger and Food Insecurity is Part of Long Island Cares' Rich History • Long Island Cares, Inc. Most people familiar with the work of Long Island Cares, Inc. already know that our organization was founded in 1980 by a popular musician and singer songwriter who Newsday described as, “One of the most important Long Islanders of the 20th Century.” The late Harry Chapin used his celebrity status and his music to further a cause that was near and dear to himself and his family. Performing more than 220 concerts every year, Chapin used his voice, songs and the microphone to encourage his fans to help solve hunger in America. Something he referred to as, “the shame of America.” In addition to his millions of fans, Harry also engaged politicians, business leaders and his friends in the music industry to join his crusade which, in 1980 had resulted in the establishment of two non-profit organizations; World Hunger Year and Long Island Cares. Following Chapin’s untimely death in 1981many of his friends in the music industry paid tribute to both the musician and social activist for his efforts towards raising awareness of hunger and doing something about it. Today, music remains an important tool for Long Island Cares in continuing to increase awareness about food insecurity in our region which, affects 272,000 Long Islanders including 89,000 children. Through the development of the Long Island Cares’ Music Industry Council, our organization meets with various corporations and industry leaders to explore opportunities to further our mission and goals through music. 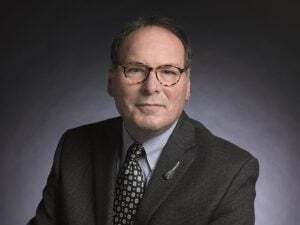 Among the members of the Council are: D’Addario & Company; Korg USA; James Faith Entertainment; Connoisseur Media; NYCB Theatre at Westbury; NYCB Live, Nassau Veterans Memorial Coliseum; My Father’s Place at the Roslyn Hotel, VCMG Live and Sirius XM Radio. With the support of our Music Industry Council, Long Island Cares produced our first benefit concert in August 2017 featuring the Country Music super group, Rascal Flatts which sold out the nearly 3,000 seats at the NYCB Theatre at Westbury. The success of this event will lead to additional concerts to benefit the regional food bank as we move forward with our fundraising and development goals. As the result of our relationship with the NYCB Theatre at Westbury and D’Addario & Company, we launched our “Beat an End to Hunger” initiative in which numerous performers and headliners have autographed custom-printed drumheads which are then custom-framed and sold for a donation to benefit our organizations’ endowment fund. Our current inventory contains autographed pieces from Billy Joel, Tony Bennett, Rascal Flatts, Gladys Knight, Bill Maher, Chris Daughtry and others. These beautiful pieces of decorative wall art can be viewed at our Hauppauge location. Several years ago, a music teacher in the North Merrick School District reached out to Long Island Cares with a creative idea to have students in all grade levels collect pledges for every minute they practiced their instruments. The result has been “The Harry Chapin Practice-A-Thon” which is held every year in March, and has been duplicated in numerous other school districts on Long Island. Since its inception in 2009 these talent student musicians have raised more than $220,000 to help solve food insecurity on Long Island. In addition, each year dozens of Long Island musicians come together in July at the Harry Chapin Lakeside Theater in Eisenhower Park for the annual “Just Wild About Harry” Tribute Concert celebrating the music and legacy of our founder. Although the concert is a free community event, concertgoers are requested to bring a donation of nonperishable food to support Long Island Cares, and in the past 15 years we have collected more than 500,000 pounds of food to feed our neighbors in need. In the past decade, Long Island Cares has had the privilege of benefitting from the generous support of artists such as: Bruce Springsteen; Billy Joel; Judy Collins; Pat Benatar; Tom Chapin; Peter Yarrow; Felix Cavaliere; Sal Valentinetti; Jen Chapin; Dee Snider; Run DMC and Rascal Flatts, all doing something to help us turn Music 2 Meals.